Offers for the Platinum Delta SkyMiles® Credit Card from American Express are not available through this site. All information has been independently collected by AwardWallet and has not been reviewed or provided by the card issuer. Please see our card marketplace for available offers. Today we're going to recap some of the exceptional value you can extract from Delta’s frequent flyer program. 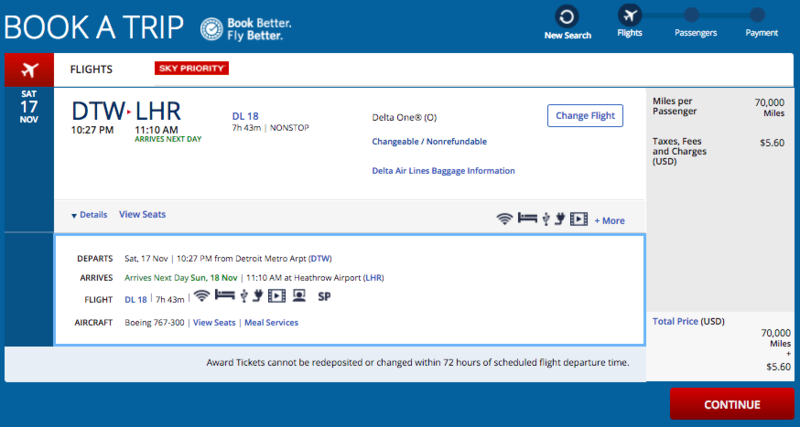 Delta’s recent history of unannounced devaluations, the lack of a publicly accessible award chart, and a move to fully dynamic award pricing has left many Delta fans with bitter feelings towards the SkyMiles program. But, with a little research and a handsome dose of patience, SkyMiles can still have you sipping Champagne while you relax in business-class on your way to some of the world's most exotic destinations. Although offers on the Delta co-branded cards have historically gone as high as 75,000 points, the current offers are not quite as generous. Don't forget you can top up your Skymiles account by transferring points from Amex Membership Rewards to put your next redemption within reach. If you already hold a Delta Amex card, that doesn’t stop you from applying for other cards in the Delta family of cards. Outside of Amex’s standard application restrictions, nothing is preventing you from holding multiple Delta Amex cards. One of the most common routes traveled by award travel fans, the hop over the Atlantic in Delta One® will set you back 70K each way. Award availability is typically easy to come by, and you can include a partner connection in Europe for the 70K award price, provided you fly Delta on the long haul leg of your flight. For example, Flying Delta DTW-LON, then connecting onwards LON-CDG on Air France. The same award flying a partner over the Atlantic will set you back 75,000 SkyMiles. One of the best-value routes left in Delta’s international partner network, you can fly a variety of Delta’s SkyTeam partners in business-class from Japan down to Australia or New Zealand for just 65,000 miles and minimal fees & taxes. There is a massive selection of partners to choose from depending on your final destination, with highlights including Korean Air, Vietnam Airlines, and China Airlines. While Delta doesn’t allow stopovers, choosing the right itinerary will give you a full day to explore connecting cities such as Seoul or Ho Chi Minh City. Another popular destination for U.S. holidaymakers, Cancún is home to a vast array of resorts, stunning beaches, and a tropical nightlife that can lead to one too many cocktails if you’re easily lead astray. 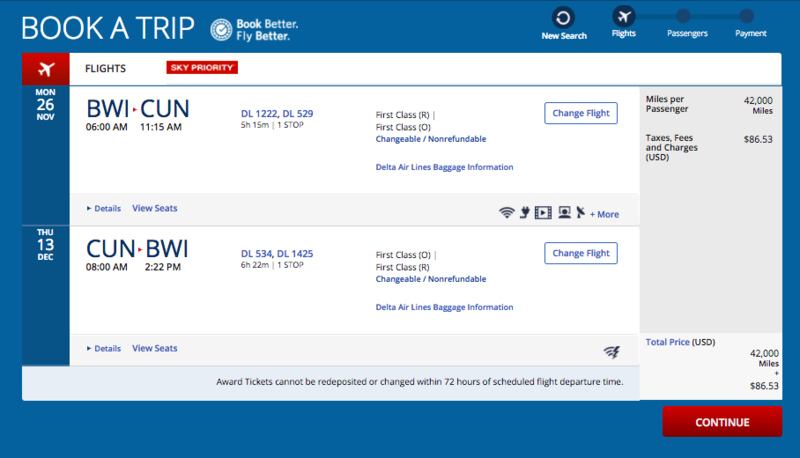 You can grab round-trip first-class flights from Baltimore-Washington International to Cancún for 42K per person. 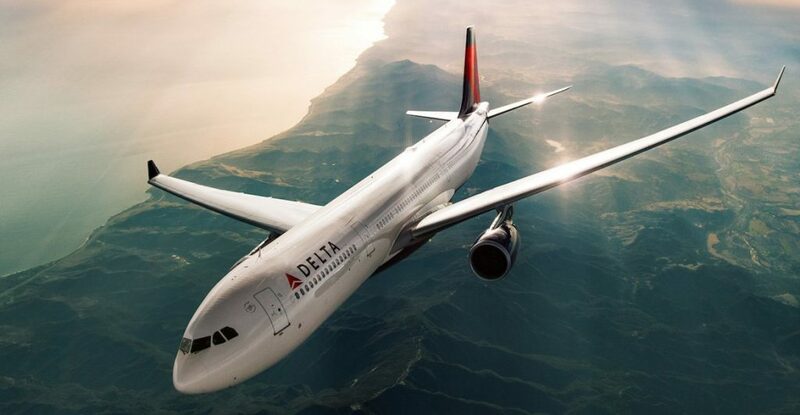 Delta’s monthly award flash sales are a chance to save big on award travel using SkyMiles. In past Delta flash sales, we've featured round-trip flights in coach to London for 48K, round-trip Delta Premium Select to Asia for 80K, and round-trip premium cabin awards to Europe for 99K. Each month tends to focus on a different geographic location, and you can save tens of thousands of miles per person on award travel. Check out some of the previous Delta flash sales in the links below, and keep an eye on the blog for future deals from Delta. Morocco is one of the most talked about destinations for our Award Travel 101 moderator team, AwardWallet’s thriving Facebook community. You can land a one-way business-class flight from Detroit to Casablanca flying Delta and Air France for 70K plus minimal fees and taxes. Trying to traverse Argentina by any method of transport other than air travel is a nightmare. Less than a third of the roads in Argentina are paved, and while the country has an extensive rail network, air travel is the fastest and most comfortable way to get around. It can also be costly. You can redeem Delta SkyMiles for flights on Aerolineas Argentinas, and compared to the cash price of airfare; the rates are pretty sharp. This round-trip fare between Buenos Aires and El Calafate, on the edge of the Southern Patagonian Ice Field, costs over $450 for a round-trip journey, or, you can shell out just 25,000 SkyMiles for a Delta partner award. One of the highlights of the Delta co-brand cards, and an underrated benefit is the Pay With Points feature. Pay With Points is exclusive to Delta co-brand cardholders, so you won’t see this benefit if you don’t hold one of Delta’s Amex cards. Pay With Points allows you to redeem SkyMiles for revenue fares at a value of a penny per mile, in blocks of 5,000 miles (5K miles is worth $50 against your paid ticket). You still collect Medallion Qualifying Miles (MQM) for your fare and have higher priority than award travelers on the upgrade list, and you'll earn redeemable miles on the cash portion of the ticket. When the cash fare presents better value than a traditional award ticket. 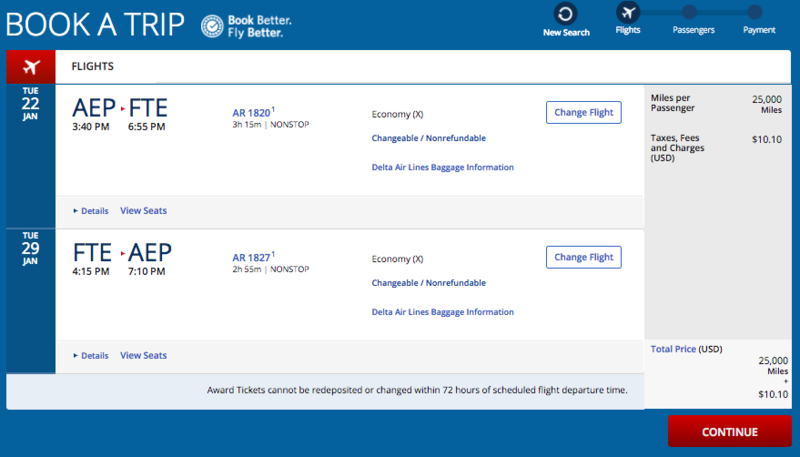 If the choice is an award fare at 40,000 miles + $5.60, or a cash ticket for $330, you would be better off paying 30K SkyMiles + $30 for your fare than taking the award ticket. If you’re chasing status. Fares paid using Pay With Points are treated as revenue fares in the respect that you still earn MQMs. If you’re trying to achieve Medallion status, it can make more sense to redeem miles at a penny a piece for flights which will earn MQMs than for an award flight that won’t. And as a Delta co-brand cardholder, when you see a Delta airfare sale, you can jump on it knowing you are getting solid value for your miles. 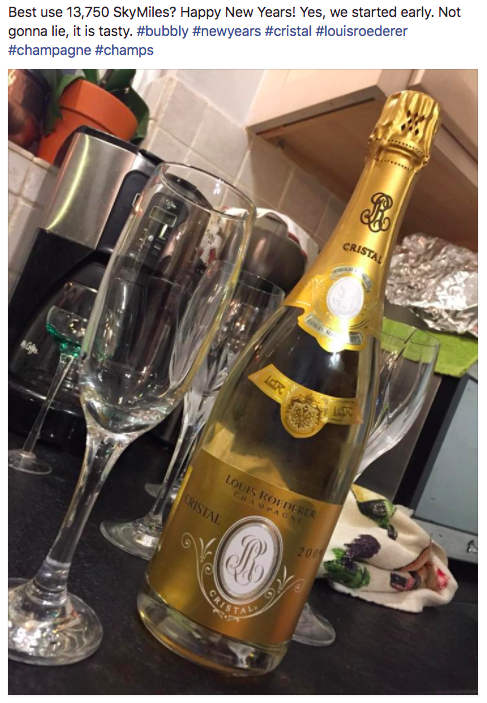 Lounge prices can be a little inflated, but a bottle of Louis Roederer Champagne for 13,750 miles (instead of $275) while you relax in the lounge pre-flight, waiting for your business-class flight paid for with miles, is a perfect example of how award travel can change the way you fly. Delta's funky award pricing will sometimes dish up award tickets costing north of 300K miles, but you can also find domestic hops between non-hub cities for as little as 5,000 miles + $5.60. With the 70K welcome bonus on either of the Platinum cards, you could take 14x of these shorter domestic flights. When Delta pulls an unannounced award chart change, I’ll be the first to jump on my soapbox and cry that it's foul play, but there is still exceptional value in the SkyMiles brand when you know where to look. Whether your goal is premium cabin international travel, prequalifying for Medallion status, or a bottle of Dom Pérignon in the SkyClub as a precursor to a romantic weekend away, SkyMiles offers a ton of value. wow on the LAX/SFO find! I got the business version which just arrived today. Thanks for spelling out ways I can use my miles! Hands down one of my favorite redemptions, ever. It is 10:36 pm pst and I tried to apply for several of the delta card offers. I just got this email today, it is still 4/11/2018 and all of the cards gave me message that offer has expired. ????? The offers, unfortunately, expired on the 11th at 11:59pm eastern time. Great run down of ways to use the Delta miles. All good except the last one. Redeeming points at 1c per point is a waste. Better off to pay cash and hold those points until you get better value out of them. Even with regular airline devaluations, it will still be easy to get more than 1c per point in the future. To each their own. I actually spoke with a couple this morning that has 80,000 SkyMiles and was so frustrated that they couldn’t get what they wanted — but they have the Gold Delta SkyMiles credit card. I told them the worst case they had $800 in flights on Delta and they quickly perked up. Yes, the best value you can potentially receive, but if it hits their goals, not too bad either. It’s recently been reported that DL has lowered the cost of partner awards to Europre *at least for some routings* from 85k to 75k. so, with a little effort to find the right flights, and with any of the cards listed in the post, after meeting the minimum spend, one is awful close to the miles needed for that award as well. FWIW, North Asia looks to have been dropped from 90k to 85k as well. This past winter they had a sale for US-Central America for 9,000 each way in economy. Not bad. I passed on getting any of the new cards as I’m trying to get below 5/24 but I agree — though correctly much maligned, there is still good use for Delta points. Especially since they don’t expire and I can earn them by using Lyft. The short hops at 5k look decent. Some of these flights can be expensive when paid for in cash. On point 2: it’s China Airlines, not Air China. Thanks, Joel. Got that fixed. Yes, some gems. Wasn’t aware of the LAX/SFO cheapie. Thank you for the quick non-hub hops heads up. This could be of use to me soon. “handsome dose of patience” lol Delta miles first got me into the game. When I finally had enough to try to get to Greece they started pulling these unsavory moves. I hope to experience DELTA ONE at some point. I just can’t seem to ever find availability to Greece. I wouldn’t mind finding more of those 5,000 mile hops. This is where the lack of award chart hurts Delta. If they advertised that a bit more, they could get rid of a lot more unsold seats and tempt people into earning miles from third parties. Instead we all assume that every award will cost a fortune and collect other airline miles. A lot of people dislike Delta but so far I’ve been pretty happy with them. United though… I’ll pass. Tip 8 and 9 are my favourite ones. The round-trip in economy for intra-South America flights is a very good reward at 25000 miles. This is an amazing list, thanks! Much appreciated. The short hops are what’s been best for us. I recently applied for the AMEX Gold Delta Business. I assumed I can still apply for the regular version although the promotion has ended. Is that correct? It’s been some time since I’ve flown Delta so this is a good refresher. I have to look for those 5000 mile flights, if there are any where I am, and if it’s to places I can’t get with cheap Megabus or Bolt Bus tickets (or a combo of cheap bus and Amtrak. I’m very grateful to Howie and crew, since they always come up with creative ways to earn and use miles. They always think outside the box and find unique solutions. For example, paying with points, which is usually not a great value but is sometimes the best course of action. I’m inspired by this site to be smarter and more creative in the use of my miles. Do them simultaneously and you’ve got an epic trip without even leaving the airports.